Meet the new perfect edition to your morning routine. Everything amazing about a blueberry and banana pancake; cooked into deliciously moist and filling muffins (easy to take on the go)! Have one for breakfast, or pack as a ‘pick me up’ snack during your busy day. These muffins are so tasty, and by being GF, DF and RSF they are sure to please everyone. Add in chia seeds, protein powder, bicarb and baking powder, combine all ingredients. Sprinkle in blueberries, avoid mixing too much to avoid colour mixing of the blueberries and mixture. Bake for 15-20 minutes, watch to avoid top burning. Allow to completely cool and store in the fridge, in an airtight container. This recipe makes quite a large brownie, comfortably filling a 23x33cm baking pan. But feel free to half all the ingredients for a smaller batch. 10. Bake for 20-25 minutes depending on the amount of ‘fudgyness’ you like. Allow to completely cool before cutting. Serve with whipped coconut cream. Enjoy and I hope you have an amazing Easter. I can’t believe that Easter is upon us in under a week, where is this year going? But if you’re vegan, don’t like dairy, lactose intolerant or like me and allergic to all dairy, Easter isn’t the most exciting time of year when it comes to the chocolate gifts. But I’ve got you covered this year! Thankfully over the past years, more and more companies have chocolate products that are vegan, dairy-free and refined sugar-free or reduced.I’ve gone around to multiple local health food shops and sourced some of the best Easter goodies for you to give as gifts or get yourself for this holiday. I have narrowed my selection down to four main brands that proving these dairy free goods. Loving Earth is an amazing that believe the world is a living organism. 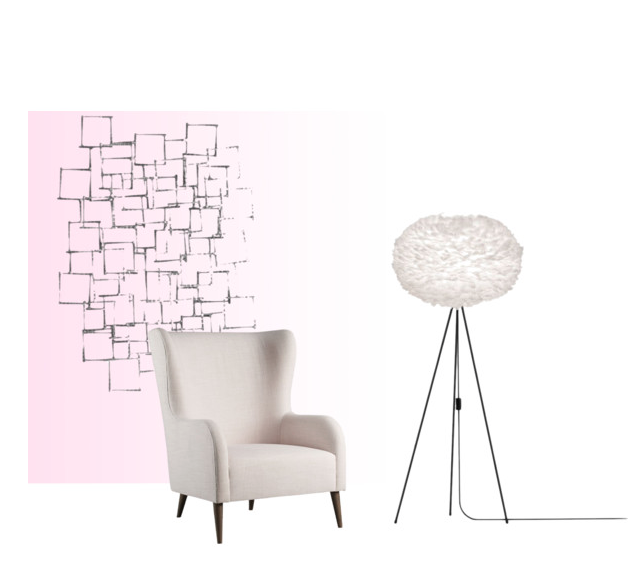 Their company’s central principles are about providing goods that are Healthy, Sustainable and Fair. And their range includes sweet and savoury products. This chocolate is to die for. My personal favourite is Mint Dark Chocolate, but honestly, you are safe with any of their products, absolutely delectable. I have brought one of their gift packs as an Easter gift to share with my family this year, which includes their Mint Chocolate block as well as the plain Milk and Dark blocks. And if you’re not a fan of the general chocolate taste, they even have caramel chocolate. As well as providing chocolate block alternatives with their chocolate covered goji berries and nuts. And if you’re after a chocolatey hit for your Easter breakfast, they even have chocolate spreads with Hazelnut and Chocolate spreads. Along with drinking chocolate mix to warm up on the cool Easter morning her in Australia. MooFree is another great brand for all things dairy-free and is a product that is angled towards kids, with their playful packaging. In stock this year, they have three different flavours, plain chocolate, ‘bunnycomb’ and orange. This company is great as they angle these health foods towards a much younger market, making their treats appealing to young kids.Making kids with allergies or alternative diet choices to still feel included in the fun of Easter. Alpha is a new brand to me, something I only spotted in a health food shop a couple of weeks ago and I was impressed with their range. I have not yet tried their products, but have read rave reviews online. They have a variety of mini chocolate eggs and large foiled hollow eggs, providing the oldies but the goodies for your Easter chocolate needs. If your looking for an alternative chocolate treat this Easter, The Carob Kitchen is an Australian company that’s got your covered. If you’re not sure what the difference between cacao and carob is, here’s a quick breakdown. Carob is a chocolate substitute, and it comes from a carob pod which has a similar appearance to cacao. Carob is packed full of vitamins A and B, protein, potassium, calcium and iron; naturally dairy free.Carob has a sweeter taste to raw cacao, but it doesn’t contain that rich chocolate flavour cacao does. But carob is a great tasting treat, giving your taste buds a break from the chocolate overload. This Easter, not only does The Carob Kitchen have their regular chocolate bars available, with different taste varieties, they have their foiled hollow eggs and mini eggs. Super yummy and a twist on classic Easter treats. Let me know if you have any other dairy free chocolate brands you love to include in your Easter basket! Hydrating and moisturising your whole body is so important. It makes your skin soft, look healthy and can help with the healing and fading of cuts and scars. It has also been discovered that people who use moisturiser are less likely to form wrinkles then those who don’t and let their skin be dry. Moisturiser can do all of the following and more, prime, plump, protect, repair, and help circulation. So, I have gone through my daily moisturising routine and picked out my favourite moisturising products. You should try them too! Now the phrase of moisturising your hair sounds weird, but it is super important to give your hair something to help it grow healthily and make it look healthy. 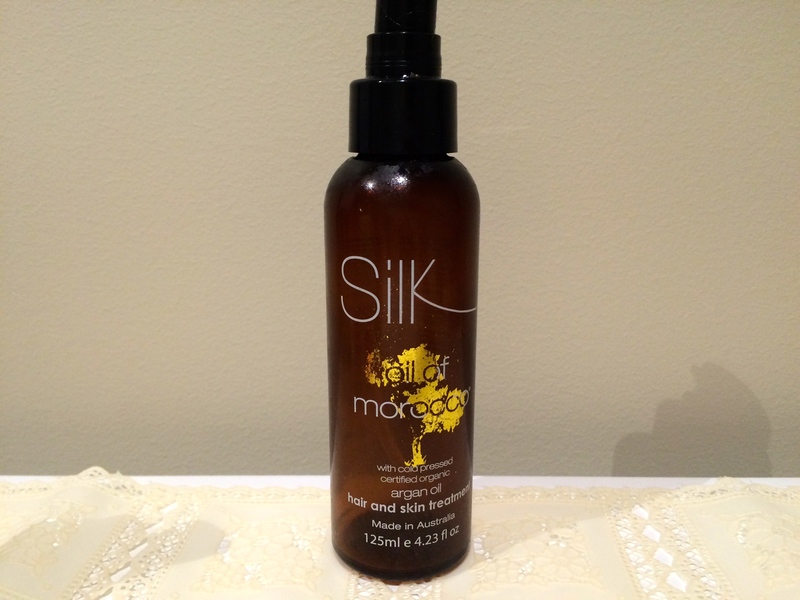 I absolutely swear by the ‘Silk Oil Of Morocco Hair and Skin Treatment’. I really only use this for my hair (not my skin), but it is a miracle serum (for both skin and hair btw). I put this on/in my hair whenever; when it’s dry or wet. It really helps with (it pretty much gets rid of) frizz and helps delay haircuts as it assists in sealing and preventing split ends. TIP: Moroccan Oil can tend to be expensive but it is definitely worth investing in it because it will transform your hair. TIP: Use a lip scrub (I use the Lush ones) before applying these in the morning and night for extra soft lips. 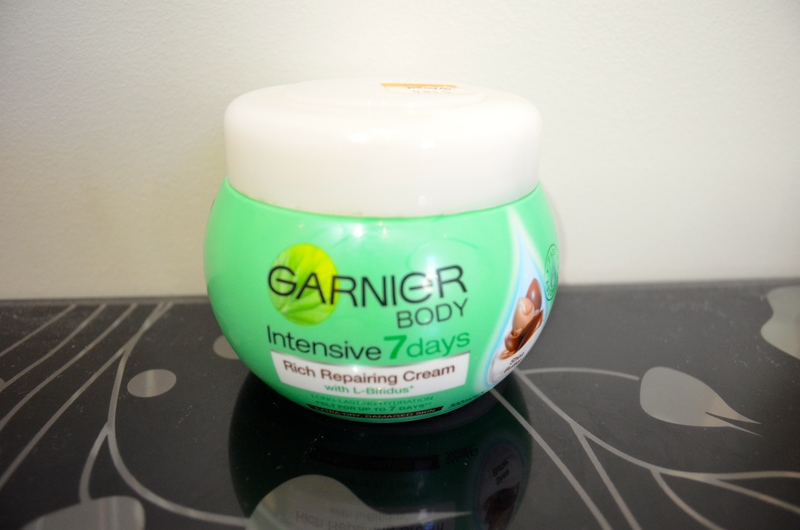 ‘Garnier Body Intensive 7 Days- Rich Repairing Cream’ I love this moisturiser. OMG. I am not going to say much about this cream I’ll just say, It is amazing. Overnight Hydration. Soft Skin. Super Cheap. Must Have. Does’t Leave You Feeling Greasy. TIP: Apply this as much as possible but always apply after having a shower. This is because your pores open in the shower, so applying the cream straight after the shower means extra hydration and softer skin because the cream absorbs deeper. I love this product and brand. 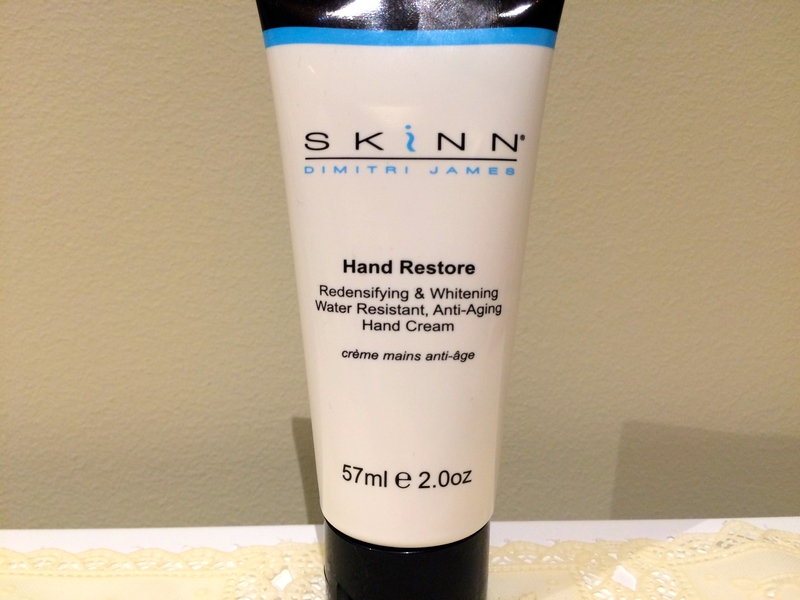 ‘SKINN Dimitri James Hand Restore Cream’ smells amazing and softens my hands immediately. 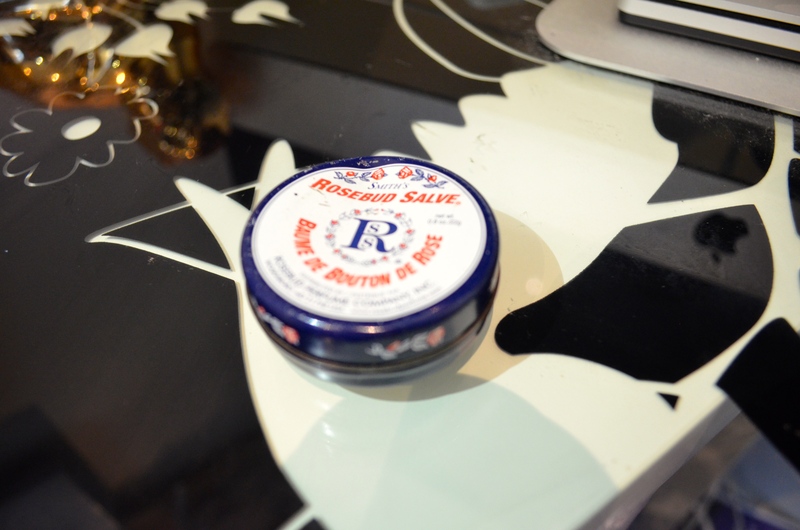 It is a heavily moisturising product and amazingly doesn’t leave your hands greasy. I highly recommend this product, it smells like roses and leaves your hands feeling amazing. TIP: When applying hand cream, always rubs some cream into your elbows as well. This area gets super dry and when you get into the routine of rubbing cream into your elbows when you put on hand cream, your elbows with be really soft and not get cracked. 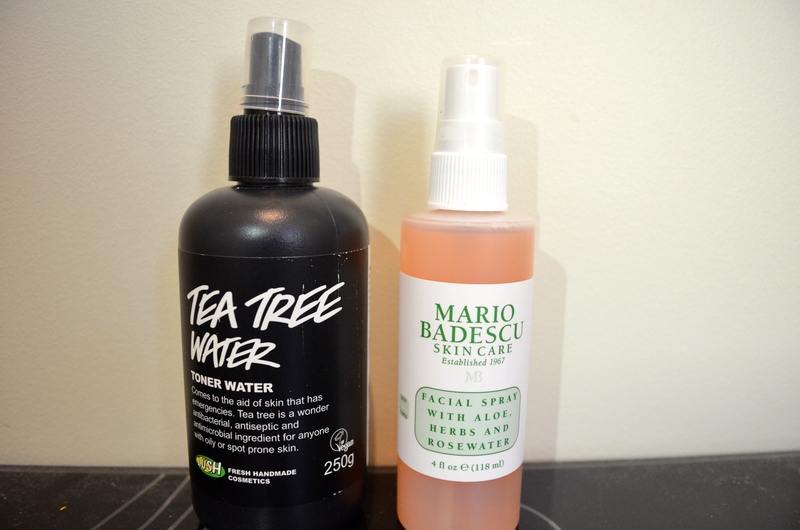 ‘Lush Tea Tree Water Toner Water’, ‘Mario Badescu Facial Spray with Aloe, Herbs and Rosewater’. Both of these are super calming and refreshing but hydrating none the less. Mario Badescu smells absolutely amazing (it smells really similar to the Rosebud Lip Salve lip balm). The Tea Tree spray also treats blemishes (YAY). TIP: Spray these after having a shower so they can get into your pores and “treat” them. Also then continue to spray them whenever you want and/or need. Put them in the fridge for an extra refreshing feel. ‘Trilogy Certified Organic Rosehip Oil’, I love any Rosehip Oil. It is super hydrating, helps reduce redness and blemishes and makes my skin glow. Rosehip Oil is a must have in any beauty routine. And, there is not much else to say. Buy some and you won’t regret it. TIP: Never worry about how much of this oil you put on your skin; even if you have oily skin. If you have oily skin, this oil will give your skin the oil it needs and therefore reduce natural and annoying oil production. 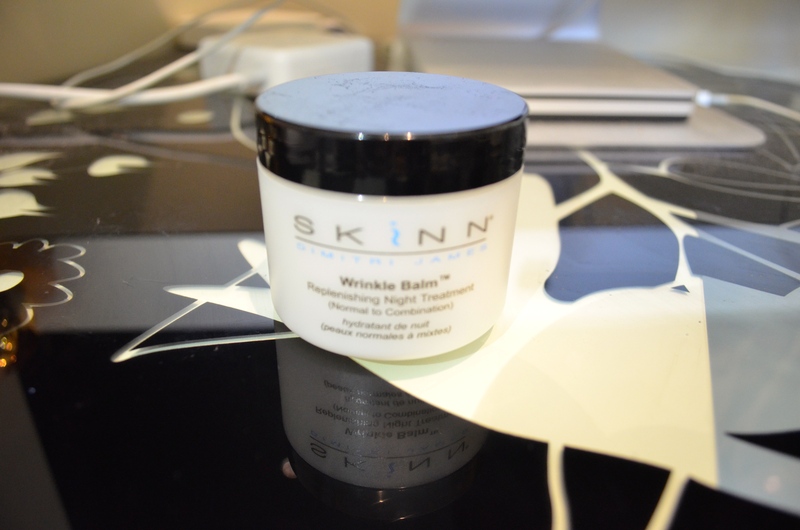 ‘SKINN Dimitri James Wrinkle Balm (Replenishing Night Treatment)’ I love this stuff. I had a crazy rash on my face a few months back and needed a moisturiser ASAP and my mum had this unopened in her draw and she gave it to me. I am now on my second tub and it has amazing moisturising qualities and it is a highly recommended product from me. TIP: Apply this to your skin after your shower and after spraying your face with the Tea Tree Water (Lush) because that’s when your pores will be open and the moisturiser with go deep into your pores and nourish your skin. There you go guys, hope you learnt some stuff about hydration and moisturising and maybe now you can go and get some of these products or similar products. Or, I hope this post has motivated you to be more committed to moisturising. THIS IS NOT A SPONDERED BLOG POST. ALL OPINIONS ARE MY OWN. ALL PHOTOS ARE TAKEN BY MYSELF. I’ve spent the past (almost) week up at the coast and despite a rainy start, it has been absolutely fabulous. My days have been filled with strolls and swims on the beach, shopping, drinking ice tea, reading (Love, Rosie), watching TV whilst being able to look to my left and see the waves rolling in (etc). Despite the melting heat here in Oz on the coast; some days have been uncomfortably sweaty and humid, but I still do enjoy having the literal wind in my hair and sun at my feet. I really think everyone needs to just get away and chill every once in a while. Now this is hard for me because I like going to places where everyday I am doing something new, I am not a big fan of just purely relaxing around so, typically I can’t stay at the coast longer then a week, but a week is a perfect amount of time from some R&R. 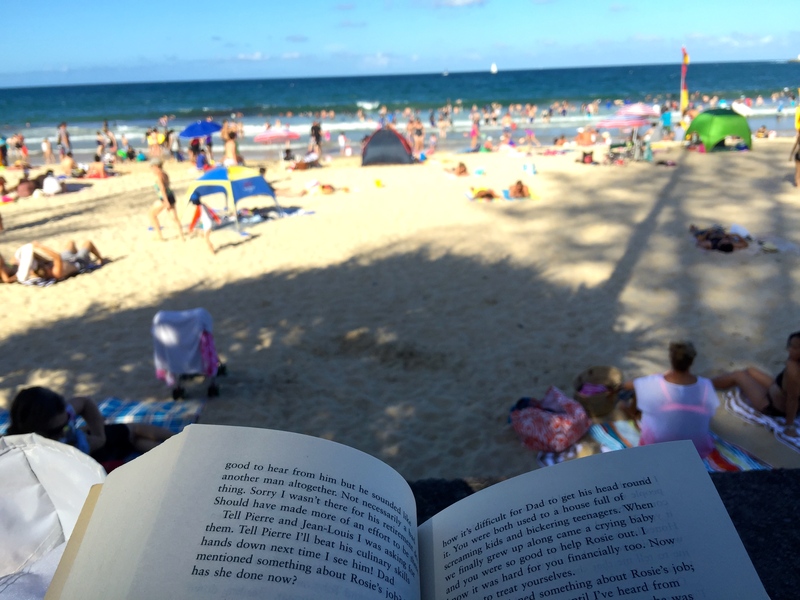 Whats your favourite ways to relax?